This oatmeal bread is made with just 1/2 cup of whole wheat flour. The white flour allows it to rise in a normal way, but still preserves the nuttiness and golden tan color. Try it toasted, with marmalade, for breakfast, or with your favorite soup. You can also make this as a whole grain loaf​ if you prefer. Mix oats and whole wheat flour in a bowl. Add the boiling water and stir. Stir in the honey, molasses, oil, and salt and let cool to lukewarm, about 1/2 hour. Mix the warm water with the yeast and a pinch of sugar, stirring to dissolve yeast. Place in a warm spot for about 10 minutes until foam forms on the top of the mixture. Add the yeast to the oat mixture and mix well. Start adding the white flour 1/2 cup at a time until firm dough forms. Turn out on a lightly floured board and knead 4 to 5 minutes, until dough is elastic and somewhat smooth. Form dough into a ball and place in a clean, oiled bowl, turning once to coat. Cover the bowl with plastic wrap and place in a warm spot (70 to 85 F) until doubled in bulk, about 1 hour. Shape the bread. You may either form this bread into a sandwich loaf or make a free-form, German-style loaf. Place loaf on parchment paper or oiled cookie sheet. 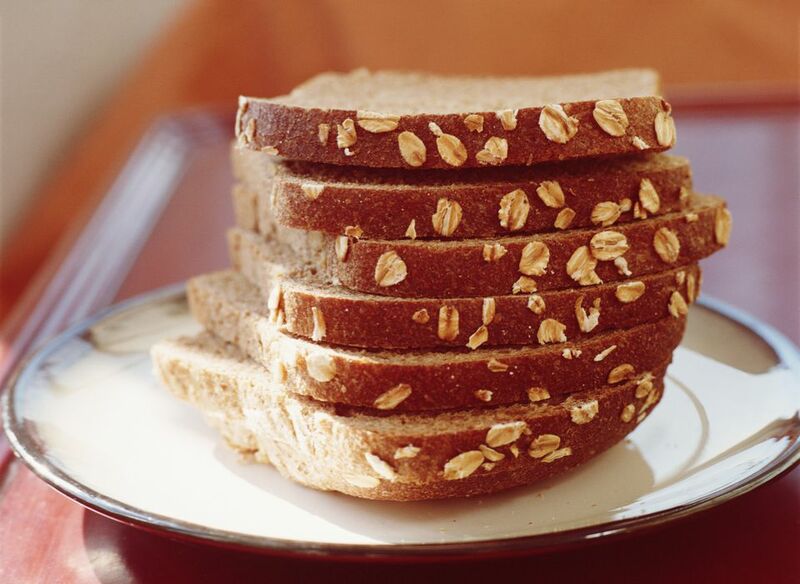 Spray the top of the loaf with water and sprinkle oatmeal or other desired topping on the bread. Cover with a towel and let rise until almost double. If you want to steam your bread, skip down directly to the steaming instructions from here. Meanwhile, heat your oven to 450 F for 1/2 hour if using a loaf pan or 1 hour if using a baking stone. Slash the top of the loaf with a sharp razor blade. Let the bread cool for about an hour or so before serving. You may wish to create steam in the oven for the first 5 minutes. If so, complete steps 1 through 12 and then proceed to this set of instructions. Heat an old roasting pan on the rack below the stone and pour 2 cups of boiling water in it right after you put the bread in the oven. Spray water on the sides of the oven with a squirt bottle two or three times in the first 5 minutes. Turn oven down to 400 F and bake for 30 minutes or more, until the internal temperature reaches 190 F.